Home » Roof Repairs » Roof Snow Removal…Is it Necessary? Every winter brings with it a chance for heavy snowfall. It seems like at least once a year we get hit with enough snow to shut down roads and schools and keep us holed up in our homes. Keeping your house and roof prepared for extreme weather is essential to avoid damage and keep you comfortable. During severe weather conditions, safety is of the utmost importance. Folks often ask us if roof snow removal is necessary. Here are some great tips that will ensure you are ready for whatever winter brings your way. Clear out gutters of leaves, sticks, and other debris. Check out roof shingles, shutters, siding and gutters to make sure they are securely fastened. Trim any overhanging or broken tree branches that may snap off and get blown around in the wind. Check your attic insulation for water infiltration. Wet insulation promotes mold growth and causes heat loss, therefore higher energy costs. Check and replace sealants around antennas, chimneys, and plumbing stacks. Roof Snow Removal, Yes or No? The best advice we can offer here is to monitor the accumulating snow on your roof carefully. If your roof is structurally sound, on average, it should be able to hold about 20 pounds of pressure per square foot. 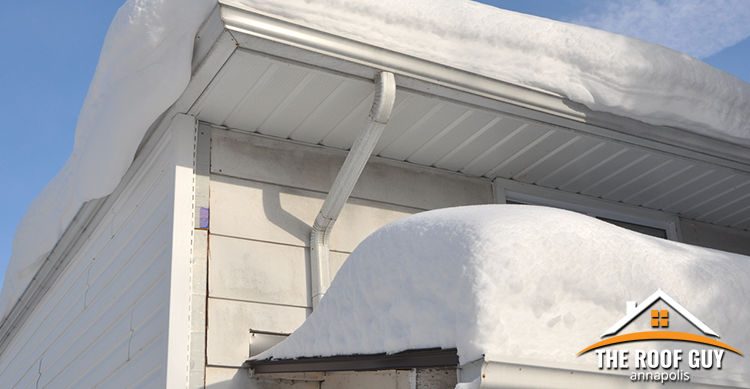 How many inches your roof can handle, however, depends on the type of snow. Heavy wet snow may cause issues, whereas light powdery snow may not. Another concern could be back to back storms. If you suspect your roof is entering the danger zone, NEVER get out a ladder and climb onto your roof. Your added weight could be what causes a collapse. Additionally, the conditions are hazardous and you risk injury or even death. Also, never toss rock salt or ice melting compounds on your roof. Run off will damage your lawn, and the chemical will ruin your shingles. This is the time to call in the professionals. Roof snow removal should never occur during the storm; it is just too perilous. Honestly, there is little risk of your roof caving in. But, what is cause for concern are ice dams. Heavy snow that melts and refreezes causes the most damage to a roof. Once the storm has subsided contact an experienced roofing contractor to assess the situation. The Roof Guy recommends a roof inspection before any major winter weather predictions. If you do not feel comfortable carrying out this task, contact us. 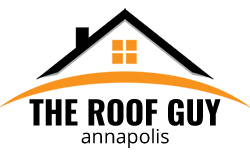 We provide a free roof evaluation. Our team will then repair and prepare your roof for the worst conditions. After the storm, we can also perform inspects and determine whether roof snow removal is necessary.